Performing your Toyota oil change at factory recommended maintenance intervals is a great way to keep your Toyota running great and maintain its value. 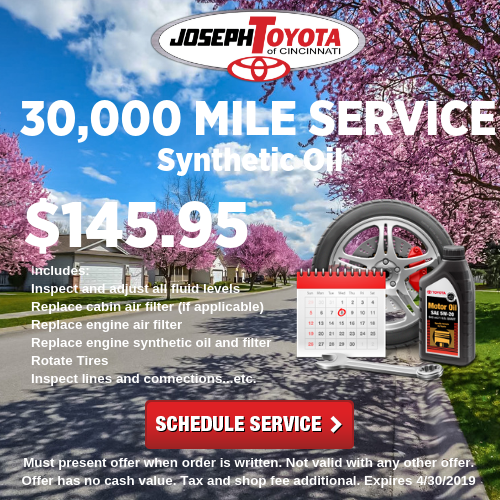 At Joseph Toyota of Cincinnati we use Genuine Toyota Motor Oil formulated to help protect against corrosion, prevent foaming and maintain proper application of oil on cylinder walls. 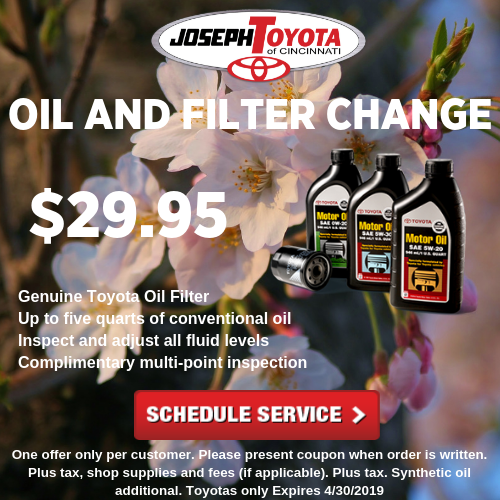 Need an oil change for your Toyota? 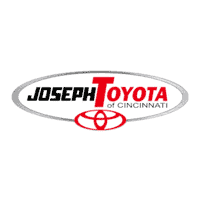 Our Toyota-trained technicians right here in Cincinnati at Joseph Toyota of Cincinnati can quickly perform this service for you. 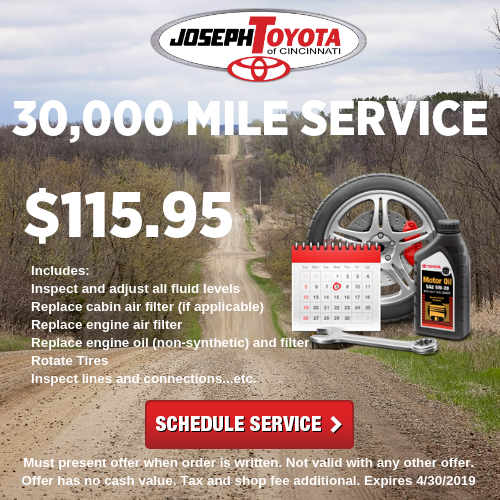 Schedule an appointment with Joseph Toyota of Cincinnati.